Bringing a tired building back from the brink to give this family the waterside haven they’d dreamed of. 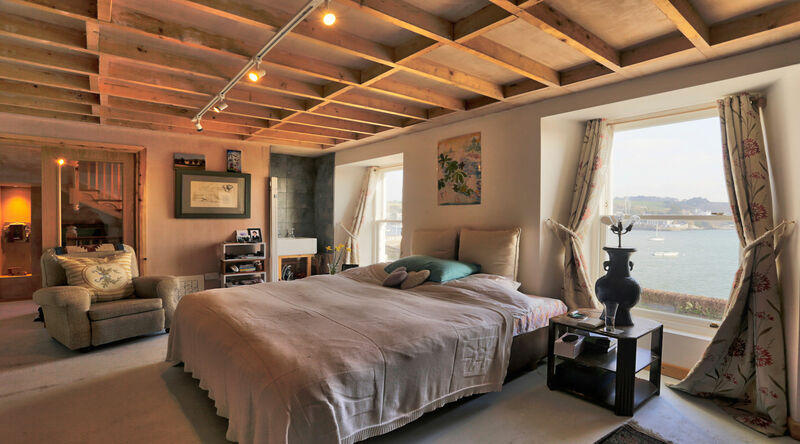 Relocating from London to Falmouth to follow their dream of seaside living, Emma-Jane and Nick had found themselves in a structural nightmare. Lending our ears and architectural expertise, we stepped in to get the build back on track. And gave them the home that fitted their original vision. 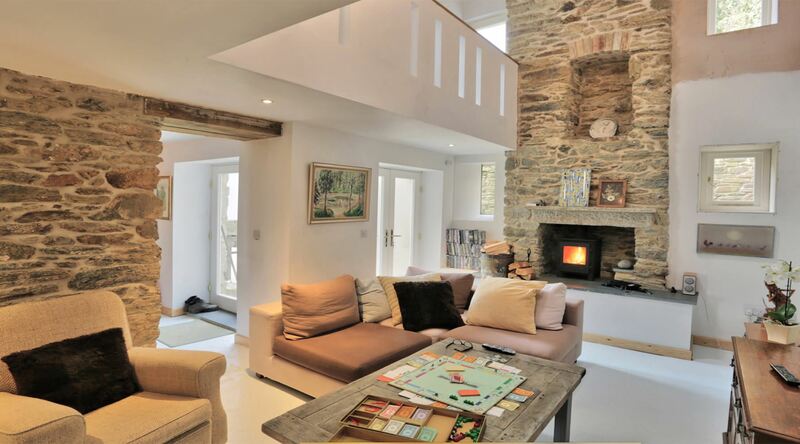 Having initially commissioned a larger architecture company in Cornwall, these clients were now looking for a more personal and detailed service. And that’s just what we gave them. 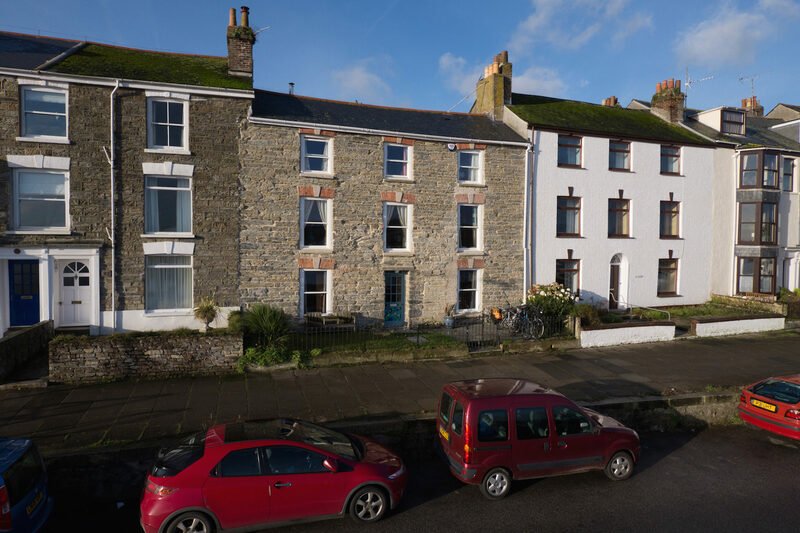 Settled amongst a terrace of houses, overlooking Falmouth’s famous harbour, this multi-occupancy, three-story building had a long way to go to become the family home our clients longed for. They wanted four bedrooms, a living area, kitchen, dining room and a first-floor living space for drinking in the views. This was going to be a challenge, given the ramshackle state the building was in – but we do love a challenge. The existing structure had been subject to many alterations over the years but none of this had been carried out well. So we suggested bringing in the builders to strip away the layers of construction and expose the original structure – to give a more accurate picture for the survey. Behind all the crumbling plaster and fake walls, things didn’t look good. The roof was OK, but the floors and supporting lintels all needed work. Revealing the true extent of the problem meant we could give a more informed idea about the costs and avoid expensive surprises down the line. Luckily we had Kieron and his team at Shepherd Contracting working tirelessly to make sure the standard was high and the structural elements were dealt with. Then it was finally time to get our teeth into the design work. We put our heads together to discover the best ways to tie in the new floor plans with the new floor construction and layout with the new lintels. Refining the inside spaces, by moving the staircase from the middle of the building to the front and fitting double height ceilings, lent us the room to create the spacious home our clients wanted. A challenging build that saw us flex our skills and draw on our experience in all areas of residential architecture. From a crumbling house riddled with problems, we managed to create the high spec family home Emma-Jane and Nick had dreamt of to make their long awaited move to the Cornish coast.